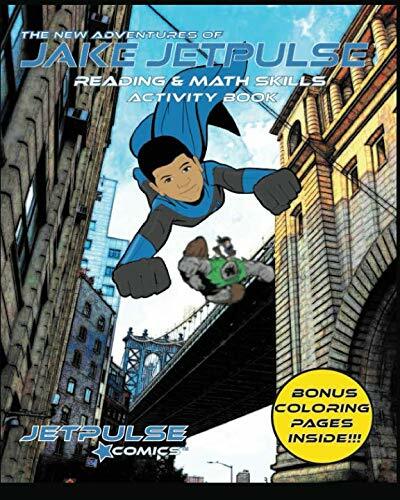 Also, read the Jake Jetpulse Adventure for Beginning Readers. Learn some useful tips to help your children unlock their reading superpowers! Click the button below to begin your reading adventure! Looking for some extra skills practice? introducing the All-New Jetpulse Academy™. there’s a world of knowledge awaiting your child, from reading and math to coloring and fun homemade activities, and everything in between! Sophie Hirsh writes a wonderful article about the inspiration behind Jetpulse Comics, and how art therapy exercises helped unlock a comic book universe. Head over to Romper.com to read her incredible article. “I was thrilled to have discovered Led and his work—he and his son are spreading acceptance through a unique comic world. Their Jetpulse Comics aligns with our mission to educate and advocate using pop-culture and storytelling. I can’t wait for you to read more about what they are doing and the impact they are making.” Read the awesome Interview by Jodi Murphy from Geek Club Books. What started as an art therapy activity turned into an incredible superhero universe. Led Bradshaw sits with Maya Rajamani from NBC New York for a one-on-one interview. Kim A. Weiss is a renowned autism fitness trainer who provides comprehensive programs for children and young adults three to 18 years old who are on the spectrum. In addition, she is also a Special Olympics Coach helping special needs teens reach their dreams. Click Here to learn more about her and what she has to say about Jetpulse Comics in her blog. “Me and Daddy have fun working together” - A talented young artist with autism became a comic book creator using his drawings and creative stories. Read Jacob’s interview with Inspiration Matters. Jacob was diagnosed with autism at the age of four and has always been a huge fan of superheroes. So much so that he created his own superhero character at an early age based on himself through his creative drawings. His father combined the superhero character and Jacob’s daily school lessons into flash cards to help and encourage Jacob. 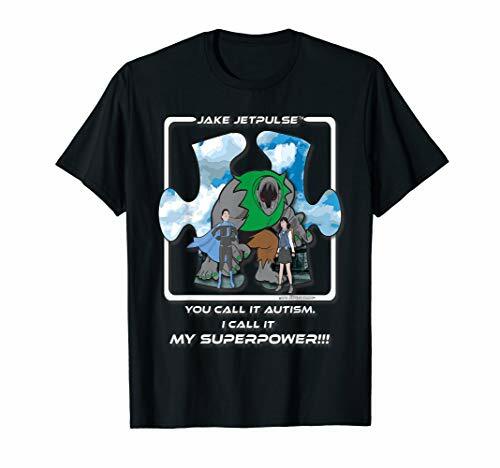 The father and son pair also incorporated the superhero character into JetPulse comics, a project to encourage and raise awareness about children and other individuals on the autism spectrum. This project allows Jacob to write his own comic book stories and shows others what life with autism is like. This project has also boosted Jacob’s self-confidence and improved his grades. If you're not listening to the #earlychildhoodjourneys podcast then you're missing out on some great content. Come and listen in as I'll be interviewed by the amazing Marissa Calderón Jiménez. Head over to Early Childhood Journeys to learn more about her and her incredibly popular podcast! Producer and TV Host Cicely Greaves interviews Jetpulse Comics creator Led Bradshaw about the creation of Jake Jetpulse and how it is inspiring so many children across the country. Jetpulse Comics is the creation of Brooklyn born, comic book artist/writer, Led Bradshaw and his son Jacob who is on the autism spectrum. Just give Jacob 5 minutes and he’ll tell you everything there is to know about superheroes. His closet is full of costumes, enchanted hammers, magical capes and utility belts. Autism has been a part of their lives since Jacob was 3 1/2 years old. Desperately looking for a way to communicate with Jake and help him learn, Led used his love of art and turned Jacob’s artwork into an exciting comic book learning adventure. Jetpulse Comics is a unique “father-and-son” project that was created to uplift, encourage and raise awareness about children and other individuals all over the world who are on the autism spectrum. It also gives Jacob the opportunity to write his own comic book stories and shows others what life is like with autism. Did you know that 1 in 59 children have been diagnosed with autism spectrum disorder? Autism (also known as Autism spectrum disorders) are a group of neurodevelopmental disorders that can affect language skills, behavior, social interactions, and the ability to learn. Jetpulse Comics™ was created to inspire, encourage, and raise awareness about individuals who live on the autism spectrum. We believe that inside every child is a hero who will one day change the world. Come take a look at how Jetpulse Comics™ is helping the autism community. AMC Theatres and the Autism Society have partnered together to offer Sensory Friendly Films- A unique movie experience for individuals living with autism who want to enjoy their favorite films in a safe and comfortable environment. Click HERE to learn more. Every child develops at their own pace, so there's no need to be alarmed if your child is a little late to walk or talk. But if your child is not meeting the milestones for their age, or something concerns you , consult your child’s doctor immediately. Click Here to read the list of autism symptoms and red flags. Autism (also called autism spectrum disorder) refers to a range of neurodevelopmental disorders characterized by challenges in verbal and non-verbal communication, impaired social skills, speech and repetitive behaviors. Learn more about autism spectrum disorders HERE. Jetpulse Comics™ makes its way to social media. Come and join us on Youtube. Subscribe to the channel and give us a like. And don’t forget to listen to the “All-New” 3 Dreamers Podcast that is recorded and produced here at Jetpulse Comics™. Jetpulse Comics™ is on YouTube! Jake has his very own YouTube Channel. Jetpulse Comics™ creator Led Bradshaw and son Jacob demonstrate easy arts & crafts activities that are fun for the entire family. Give Jake a “thumbs-up” and subscribe to the channel. The 3 Dreamers Podcast is made up of three childhood friends who grew up together in Brooklyn, NY. Daring to listen to their hearts, they come together as adults to share their individual journeys of finding their unique paths to success and to motivate those who dream of carving out their own path, but are unsure how or when to begin. The 3 Dreamers Podcast is recorded and produced by Jetpulse Comics™ in Brooklyn NY. 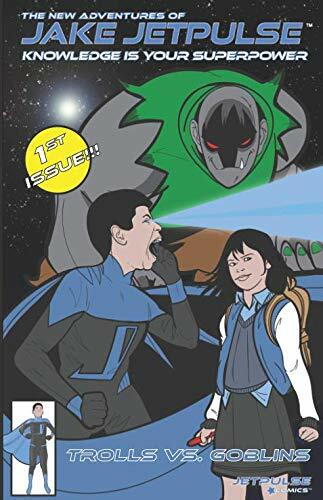 The New Adventures of Jake Jetpulse is an amazing comic book universe that was created entirely from the imagination of a young boy on the autism spectrum. Follow the adventures of Jake, Julia, and Marrz the Troll as they protect the world from evil forces that threaten the galaxy. Each chapter of this awesome story is packed with incredible illustrations while teaching your child the proper skills needed for reading comprehension.